Can you believe it. I am about to sign up for another challenge. It was too inviting and I love re reading books and getting the pages to fall apart , so here I go. 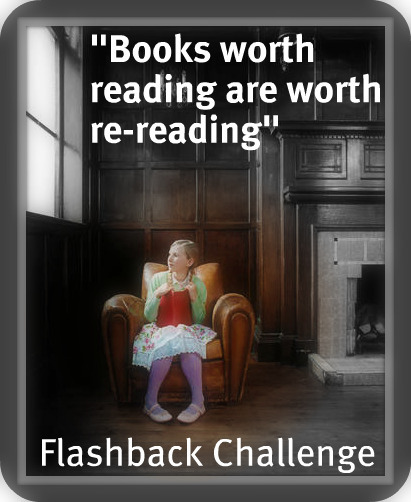 I am officially signing up for The Flashback Challenge. I am about to take a big plunge and sign up for the Literati Level , that means 6 books. I re read so many books , that I am pretty sure I can finish this challenge for the year 2010 🙂 Also to make all this more fun there are mini challenges . 1. Doctors by Erich Segal – This one has to be re read because I love the story. It has some sequences which make me proud to be a doctor . I think I have already re read at it at least 7 times. 3. The Mayor Of Casterbridge by Thomas Hardy– I need to read this to remind myself as to , why I like Thomas Hardy’s works so much. 4.For Whom The Bell Tolls by Ernest Hemingway – This was my first novel and I feel the list won’t be complete without this one.